A man has been arrested on suspicion of terrorism offences after a car crashed outside the Houses of Parliament. The vehicle swerved into cyclists and pedestrians shortly after 07:30 BST, injuring three people. The suspect, in his late 20s, is not believed to be known to MI5 or counter-terrorism police, and is not co-operating with officers. One woman is being treated in hospital for serious but non life-threatening injuries. He added there was “no intelligence at this time of further danger” to London or the UK as a whole. The suspect, who has not been formally identified, is being held at a south London police station and the vehicle is being searched. No-one else was in the car and no weapons have been found. The government’s Cobra emergency committee is meeting later. A number of eyewitnesses have said the silver Ford Fiesta, which was travelling westbound, appeared to deliberately hit members of the public as it swerved into the opposite lane. 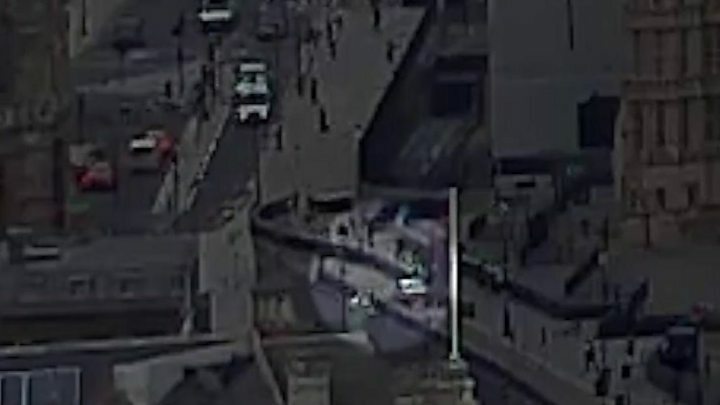 Footage released by the BBC shows the moment when the car drives over a pedestrian crossing before crashing into the security barriers. A police officer can be seen jumping over another barrier to get out of the way. Westminster tube station is closed for entry and exit, and streets around Millbank and Parliament Square have been cordoned off. Parliament is not currently sitting. A London Ambulance Service spokesman said two people had been taken to hospital with “injuries that are not believed to be serious”, while a third patient with minor injuries was assessed at the scene. One of those taken to hospital, a man, has since been discharged. BBC News home affairs correspondent June Kelly described the terror arrest as a “significant development”. 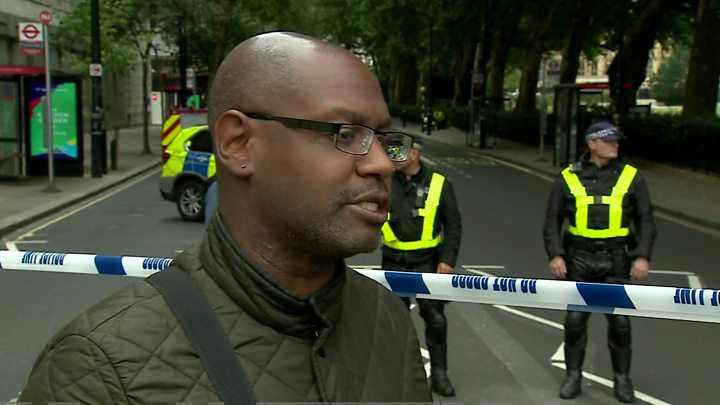 Barry Williams, a BBC member of staff based at Millbank, said: “I heard lots of screams and turned round. “The car went onto the wrong side of the road to where cyclists were waiting at lights and ploughed into them. “Then it swerved back across the road and accelerated as fast as possible, and hit the barrier at full pelt. “It was a small silver car and he hit it at such speed the car actually lifted off the ground and bounced. Jason Williams told BBC Radio 4’s Today programme the driver had “driven at speed – more than 40 mph”. He added: “There was smoke coming out of the car. I have seen people on the ground, lying on the road. He said that “it looked deliberate… it didn’t look like an accident”. 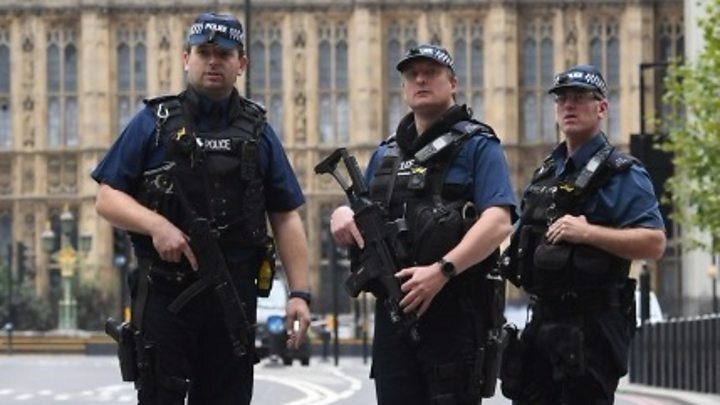 More than 10 police vehicles and at least three ambulances were at the scene outside Parliament – where firearms officers and police sniffer dogs have been searching the area. A bus driver who was driving past the scene at the time said he saw smoke coming out of the car. The vehicle did not appear to have a front registration plate when it crashed, she added. 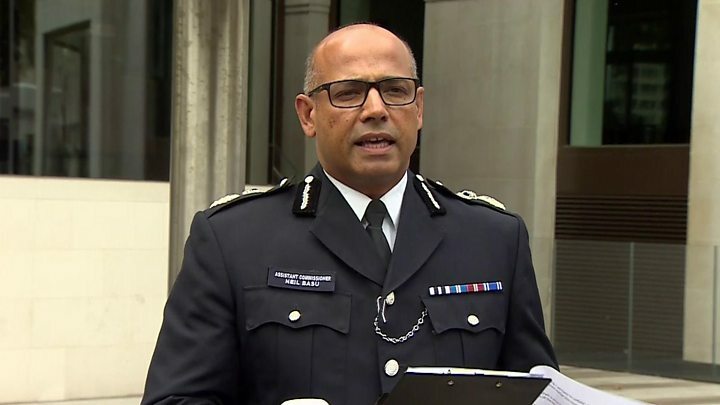 Home Secretary Sajid Javid also expressed his gratitude. Huge thanks to our emergency services for their rapid reaction to incident in Westminster this morning. My thoughts are with those injured. Mayor of London Sadiq Khan said he was in close contact with police and that he “utterly condemns all acts of terrorism on our city”. And Labour leader Jeremy Corbyn said the bravery of emergency services “keeps us safe day in, day out”. Did you witness the incident? Please email haveyoursay@bbc.co.uk.